Please do not waster your money to buy some cheap display regulator is NOT WATERPROOF. Do you really need to watch charging currant for small 10W solar panel? Most of sellers use small tiny POLY cells (check product to compare) which might came from waste of big panel. Check our solar cells, we only use high quality NEW German Mono Cells. 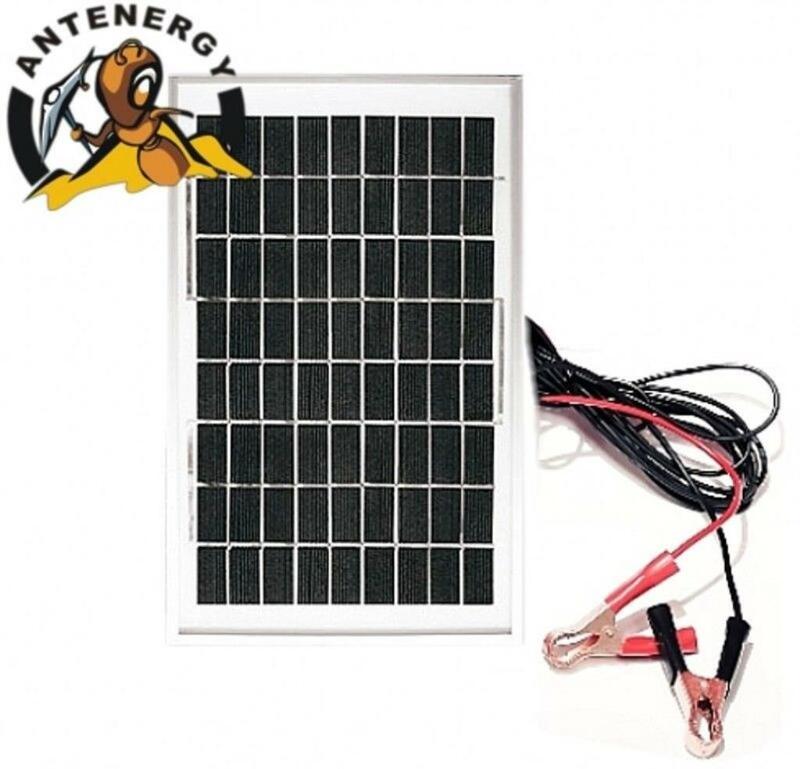 The 100% OZ solar power specialist ANTENERGY is proud to offer this brand new premium quality 10W 12V portable solar panel. These panels are sturdy, weather resistant with an anodized aluminium silver frame have passed international testing standards including hail and light absorption. 12v Solar panels are ideal for recreational, camping or traveling purposes as they supply appropriate power for running appliances such as 12v TV’s, Laptops, lights, fridge etc. or can be used in conjunction with an inverter to supply the majority of your 240v power requirements. 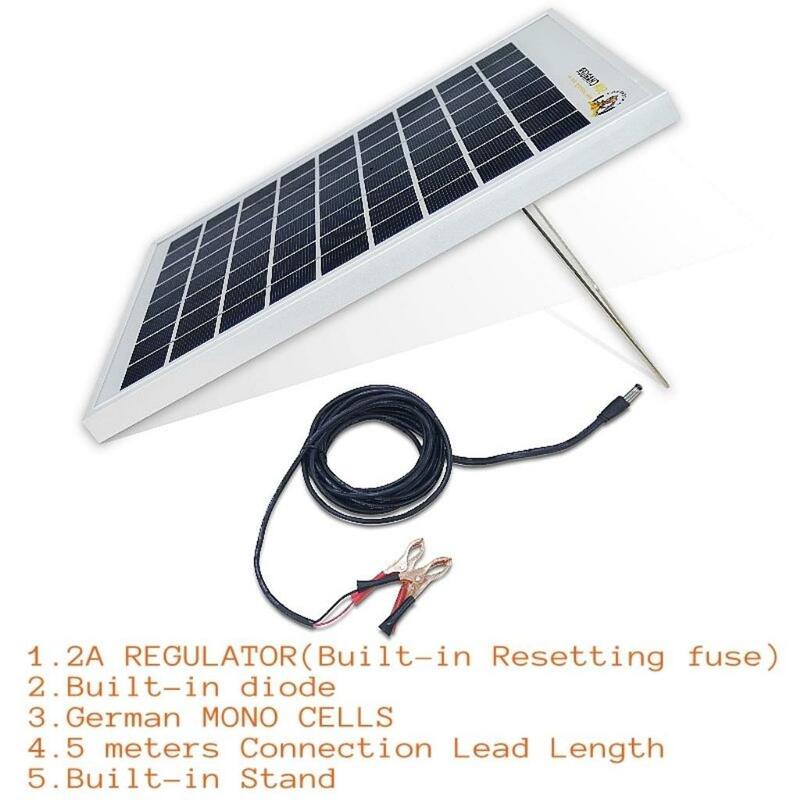 These panels can be also used together to increase the voltage or the output power of your solar system but also be small enough for portability.